Harmanpreet Kaur and Smriti Mandhana have written to the BCCI saying that the decision to drop Mithali Raj was unanimous and they want Ramesh Powar to continue coaching the women's cricket team. Smriti Mandhana and Harmanpreet Kaur have joined hands in opposing their ODI captain Mithali Raj by writing to the Board of Control for Cricket in India that they want Ramesh Powar to continue as the coach of the Indian women's cricket team. The situation in the women's cricket team has been very delicate since Mithali was not included in the playing XI against England in the semi-final of the World T20 last month. 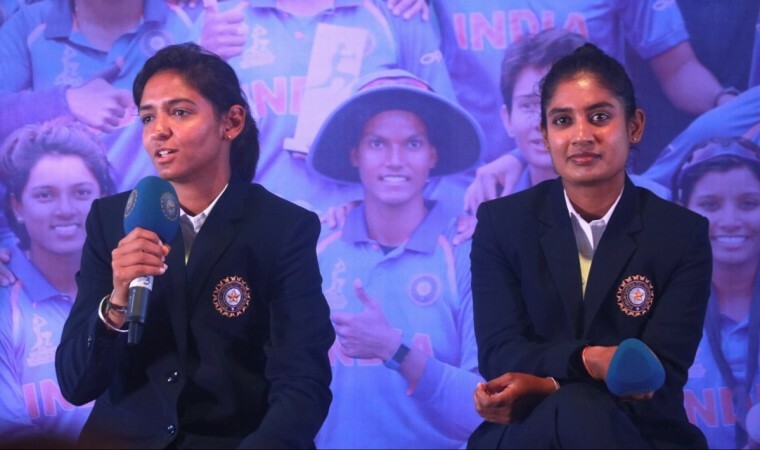 Since then, conflicting versions of statements have come out from Mithali and coach Powar, each laying damning blames on the other. Under such circumstances, the BCCI decided against extending caretaker coach, Powar's contract which expired after the World T20 and instead asked for interested candidates to apply for the vacant position. Now, T20 skipper Harmanpreet has written an email to the BCCI saying that Powar should be allowed to continue as head coach of the women's team as he has brought in a necessary change of mentality within the dressing room. The email accessed by Hindustan Times says, "Sir Ramesh Powar not only improved us as players but did motivate us to set targets and challenge our own limits. He has changed the faced of Indian women's cricket team both technically and strategically. He has inculcated in us the sense of winning." "The decision was entirely based on the cricketing logics and observations from the past. Keeping in mind the need of the hour, me, Smriti, selector Sudha Shah and the coach together in the presence of our manager felt that we should go ahead with the winning combination." Signing off, she wrote: "Cutting the conversation short, I, as the T20 captain and ODI vice-captain is appealing before you to allow Powar to further continue as our team coach. There are hardly 15 months for the next T20 World Cup and a month to go for the New Zealand tour. The way he has transformed us as a team, I feel no reason to replace him." In another email accessed by Hindustan Times, Harmanpreet's T20 deputy, Mandhana also echoed her captain's sentiments saying that all decisions were unanimous. "All the meetings that were held with respect to the playing XI for all the matches came to a unanimous decision which was taken by captain, vice-captain, coach and selector in the presence of our team manager (Trupti Bhattacharya). Since the introduction of Powar, he along with the support staff has boosted our confidence as a team which has helped us win 14 consecutive T20 matches. He changed the intent of the players and gave everyone confidence." She also stressed the need to find an amicable solution to this drawn-out controversy. "It is important for Indian cricket's growth that everybody is on the same page and I believe that any difference can be amicably resolved via discussion," she signed off. It has been reported that the emails were addressed to CoA members, Vinod Rai and Diana Edulji, acting president, secretary and treasurer of the Board, CEO Rahul Johri and GM (Operations) Saba Karim.